Police have appealed for witnesses after an 18-year-old cyclist suffered facial injuries when she was in a road accident. Paramedics found her in Bewbush Drive near Neville Close after emergency services were called at 5.45am on Tuesday, March 1. A police spokesman said: “The front wheel of the bicycle had come off and was found nearby. There was no other damage to the bike and the woman could not recollect what happened but was asked to contact police if she did. A spokesman for South East Coast Ambulance Service said it was believed she was injured in a fall. Her father Gordon Sharkey said she was hit by a car. He appealed for witnesses saying she was left ‘unconscious with broken bones lying in her own blood’. 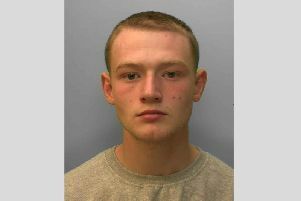 Anyone who saw what happened was asked to email 101@sussex.pnn.police.uk or call 101 quoting reference 103 of 01/03.